Brushed Vs. Brushless Motors: What’s the Difference? For several years now, we’ve been seeing brushless motors begin to dominate the professional tool industry’s drive in cordless tools. That’s great, but what’s the big deal? As long as I can still drive that lag bolt, does it really matter? Well, yeah it does. There are significant differences and implications between brushed and brushless motors. 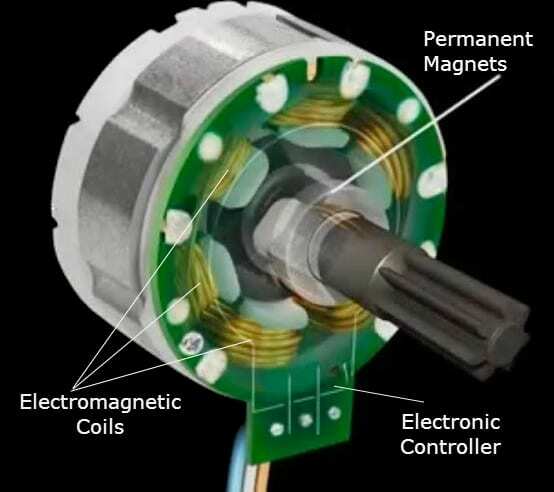 Before we dive into brushed vs. brushless motors with both feet, let’s look at the basics of how a DC motor actually works. When it comes to driving a motor, it’s all about magnets. Oppositely charged magnets are attracted to each other. The basic idea in a DC motor is to keep the opposite charge of the of the rotating piece (the rotor) attracting the non-moving magnets (the stator) in front of it so there’s a constant pull forward. It’s kind of like keeping a Boston creme doughnut on a stick in front of me while I run – I’m going to keep trying to catch it! The question is how to keep that doughnut moving. There’s no simple way to do it. It starts with a set of magnets that hold a permanent charge (permanent magnets). A set of electromagnets have their charge changed (reversing polarity) while the rotation occurs so there is always an oppositely charged permanent magnet for it to move towards. In addition, the like charge that the electromagnetic coil experiences when it changes pushes the coil away. When we look at brushed vs. brushless motors, it’s how that electromagnet changes polarity that makes all the difference. In a brushed motor, there are four basic parts: permanent magnets, armature, commutator rings, and brushes. The permanent magnets make up the outside of the mechanism and don’t move (the stator). One is positively charged and the other negatively creating a permanent magnetic field. The armature is a coil or series of coils that become electromagnets when power is applied. This is also the part that spins (the rotor) and is usually made from copper, though aluminum can be used. The commutator rings are fixed to the armature coil in two (2-pole configuration), four (4-pole configuration), or more pieces. They spin with the armature. Finally, the carbon brushes stay in place and deliver the electrical charge to flow to each piece of the commutator. Once the armature is powered, the charged coil is pulled towards its oppositely charged permanent magnet. As the commutator ring above it also spins, it moves from a connection with one carbon brush to the next. When it reaches the next brush, it receives a polarity reversal and is now attracted to the other permanent magnet while repulsed by the like charge. Tangibly, when the commutator reaches the negative brush, it’s now attracted to the positive permanent magnet. The commutator arrives just in time to form a connection with the positive brush and follows around to the negative permanent magnet. The brushes are in pairs, so a positive coil will pull towards the negative magnet while a negative coil will pull towards the positive magnet at the same time. It’s like I’m the armature coil chasing that Boston creme doughnut. I get close, but then change my mind and go after a healthier smoothie (my polarity, or desire, changed). After all, the doughnut is full of calories and fat. Now I chase the smoothie while being pushed away from the Boston creme. When I get there, I realize how much more delicious that doughnut will be over a smoothie. For as long as the trigger’s pulled, I change my mind every time I get to the next brush while chasing the object of my affection frantically in a circle. It’s the ultimate in ADHD put to good use. Plus, there are two of us in there, so the Boston creme doughnut and smoothie are always being chased passionately, but indecisively, by one of us. In a brushless motor, you lose the commutator and brushes while gaining an electronic controller. Now the permanent magnets act as the rotor and rotate around on the inside while the stator is made up of the fixed electromagnetic coils now on the outside. The controller powers each coil according to what charge it needs to attract the permanent magnet. In addition to moving the charge around electronically, the controller can also provide a like charge to oppose the permanent magnet. Since like charges oppose each other, this pushes the permanent magnet. Now the rotor is moving thanks to a pull and a push. The permanent magnets are moving in this case, so now they are my running partner and me. We aren’t changing our minds about what we want anymore. Instead, we know that I want the Boston creme doughnut and my partner wants the smoothie. The electronic controller keeps our respective breakfast delights moving in front of us and we’re always chasing the same thing. The controller also puts what we don’t want right behind to offer a push. Brushed Vs. Brushless Motors: Why the Extra Cost? The brushed DC motor is relatively simple and the parts to make it are inexpensive (though copper isn’t getting any cheaper). Because brushless motors require that electronic communicator, you’re essentially starting to build a computer inside your cordless tool. This is what drives the cost of brushless motors up. Brushed Vs. Brushless Motors: Why Does it Matter? Brushless motors offer several advantages over brushed motors thanks to the design. Much of it has to do with the loss of brushes and commutator. Since the brush is required to be in contact with the commutator to deliver a charge, it also causes friction. Friction reduces the speed that can be achieved along with building up heat. It’s like riding your bike with the brake lightly applied. Given the same amount of effort from your legs, you’ll be slower. Conversely, if you want to maintain the speed, it will take more energy from your legs. You’ll also heat up your rims from the frictional heat. This means that brushless motors run cooler and more efficiently so they’re able to deliver more power. The carbon brushes wear down over time. It’s what causes a spark inside some tools. In order to keep the tool running, the brushes have to be replaced once in a while. Brushless motors don’t require that maintenance. While brushless motors require an electronic controller, the rotor/stator combination is more compact. 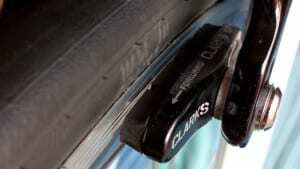 That leads to the opportunity for lighter weight and more compact size. That’s why we see so many tools like Makita’s XDT09M Impact Driver claiming to be the most compact and most powerful a brand has built. The combination of these benefits has another effect – a longer life. While the warranty is typically the same for brushed or brushless tools within a brand, you can expect to get a longer life out of the brushless motor. This can often be years beyond the warranty. Remember what I said about the electronic controller essentially building a computer in your tool? The brushless motor is also responsible for the breakthrough of smart tools hitting the industry. Milwaukee’s One Key technology wouldn’t work if not for the brushless motor’s dependence on electronic communications. Shop cordless tools from our friends at Acme Tools! “Brushed Vs. Brushless Motors: What’s the Difference?” used a photo with permission. Thanks to Wapcaplet for the great work! “Electric motor cycle 1” by Wapcaplet – Created by Wapcaplet in Blender. http://en.wikipedia.org/wiki/Image:Electric_motor_cycle_1.png. Licensed under CC BY-SA 3.0 via Commons. 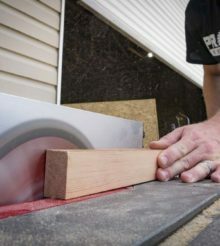 How Can Cordless Tools Replace Corded Tools? More Current! What Makes a Makita Brushless Motor Different? The donut analogies were utterly tedious and ruined what could have been a good article. I own many tools from all brands, both brushed and brushless. I really enjoy and appreciate all of the benefits of the brushless motors, and there is plenty of benefits. However, I still appreciate the ruggedness of the brushed. “Things” happen to all of us such as forgetting something in the back of the truck and then it heavily rains all night; pick the tool up out of the water, vigorously shake the water out, slap a battery in it and good to go. Brushless are great for people who like to read about their tools instead of use them, since the motor controller will burn out long before the brushes in a brushed tool, then you pay more (again) to replace it if out of warranty. The increase in power, and runtime, and (typically) smaller tool size is great, but a tool that is broken is not very powerful nor does it have runtime. At least a tool you can’t use, takes up the least space of all, lol. I would love to upgrade to brushless, in my business I go through batteries often, my only concern my brushed Ryobi I use in wet conditions and have even submerged and I let it dry for a day it still works.